Tracey has been with Castletons since 2013 when she was appointed audit senior and PA to the Director. 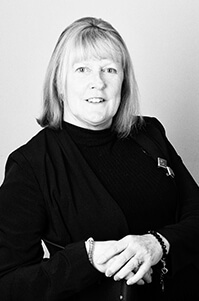 She has a broad range of experience gained in small local accountancy practices during the last 30 years. Her experience covers the accounts of small limited companies, partnerships, sole traders and pension schemes together with their associated taxes. She also has practical experience of all aspects of personal tax and payroll. Tracey has always enjoyed working in accountancy, finding the variety of work and meeting new clients provides constant new interest. When not working, Tracey enjoys socialising with family and friends. She is an avid reader and is a member of a book group as this gives her an opportunity to widen her reading tastes. Tracey is trying to cultivate her gardening skills as she likes to spend as much time in the garden as possible in fine weather. In recent years Tracey has found a new interest in golf and is practising her swing with the aim of translating her membership of a golf club from social to playing member.